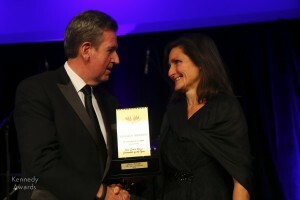 NEWCASTLE Herald journalist Joanne McCarthy was named the 2013 P&O Cruises Journalist of the Year at the second annual Kennedy Awards for Excellence in NSW Journalism. 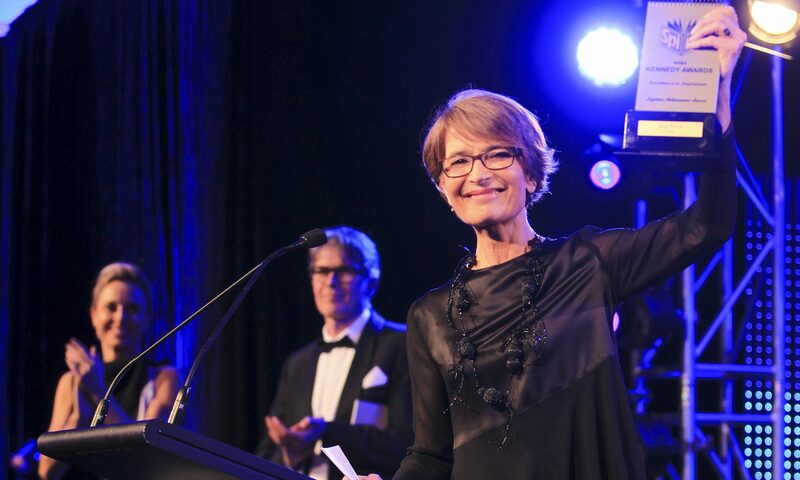 McCarthy edged-out Fairfax stable mate Kate McClymont, of the Sydney Morning Herald and the Seven Network’s talented Tim Noonan to claim the Gold Spirax trophy. During a glittering gala to christen the brand new ballroom of the Australian Turf Club’s $250 million Royal Randwick grandstand more than 500 high-prolife media identities joined NSW Premier Barry O’Farrell and Les Kennedy’s mother Merle, making the trip from Darwin for the first time. Other special guests included Marcus and Charlie Kennedy, entertainer Steve Clisby, Deputy Premier Andrew Stoner, Racing, Major Events and Hospitality Minister George Souris, Treasurer Mike Baird, Police Minister Michael Gallacher and Health Minister Jillian Skinner. Police Commissioner Andrew Scipione and Rugby League legend Steve Mortimer OAM also presented major awards, along with Network TEN’s Sandra Sully, Channel Seven’s Ann Sanders and Nine’s Tracy Grimshaw. Among many highlights of the night, veteran newspaper and television journalist Harry Potter became the first recipient of the Kennedy Life Time Achievement Award, presented by fellow veteran crime reporter Norm Lipson. The Police Commissioner Andrew Scipione introduced Police Dog Kennedy, named after Les Kennedy, who died in August 2010 after a short battle with cancer. 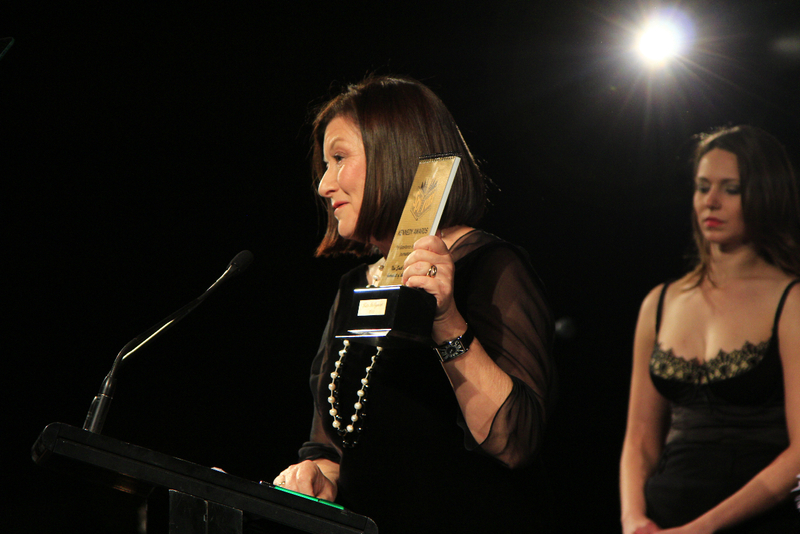 History -the Sydney Morning Herald’s Kate McClymont collects her Kennedy Gold Spirax as the P&O Cruises NSW Journalist of the Year. Kate McClymont – The Sydney Morning Herald.